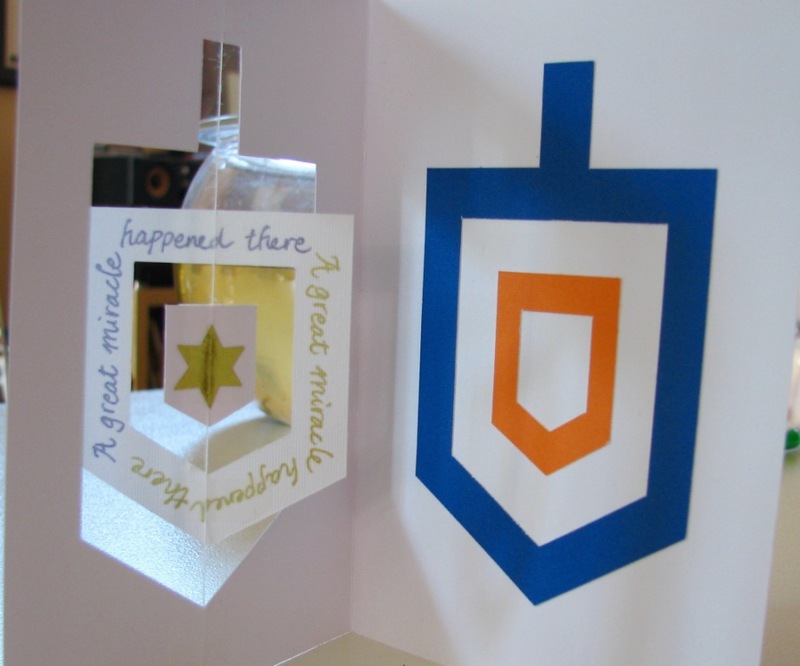 9 Responses to "Spinning dreidel Chanukah cards"
So cool! And a video, too! We’ll be making these nifty cards at home for sure. I absolutely LOVE your spinning dreidels!!!! Any possibility of getting the templates that you used? I am not so good at getting the great shaped dreidel that you did? Please, please, please let me know as I have an art class on Sunday and would need it before then. Thank you Bayla! I created it in .studio (silhouette cutter format) but have saved a screen shot as a .jpg and will email it through to you – hopefully you can resize it to fit the cards you are using. http://kidsfuncraft.wordpress.com. I hope it’s o.k. You are very welcome! I love your paper cuts – they are absolutely beautiful and I wish I could make things like that!